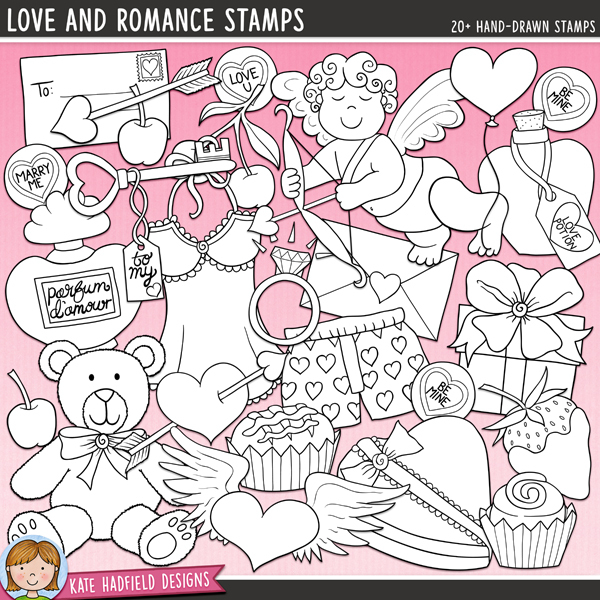 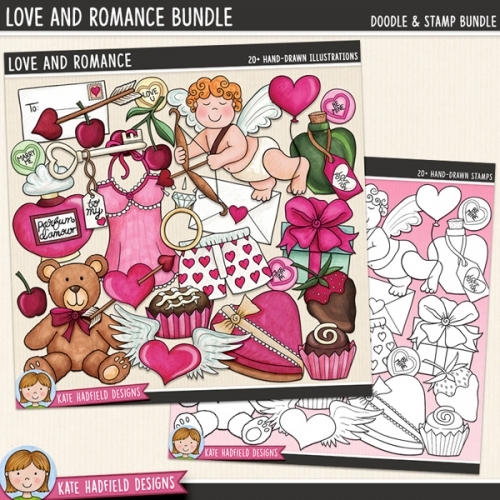 Outlined versions of my Love and Romance doodles, this stamp pack contains the same doodles in three different formats: black outline png, black outline filled with white png (as shown in the preview) and a new bolder outline version for working on a smaller scale. 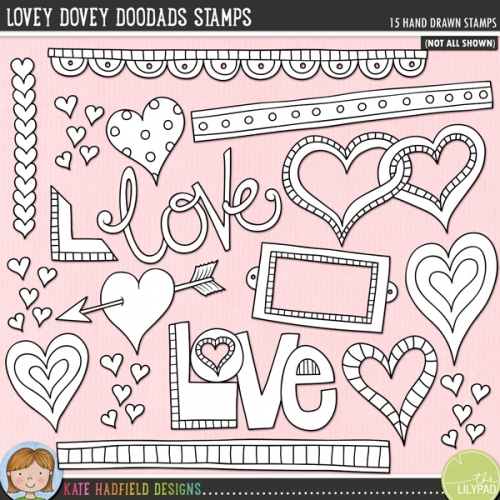 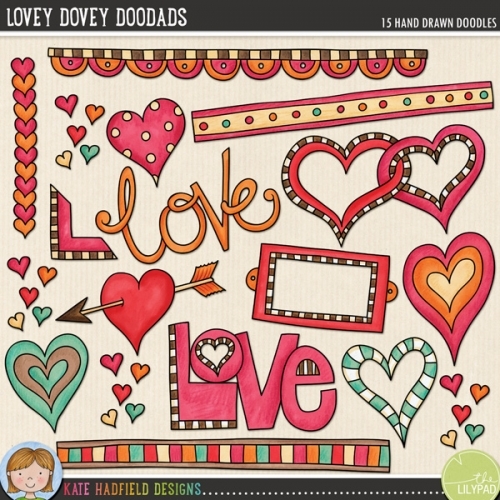 Digital stamps are perfect for creating colouring sheets, cards and other hybrid projects as well as for stamping on your digital scrapbooking pages! 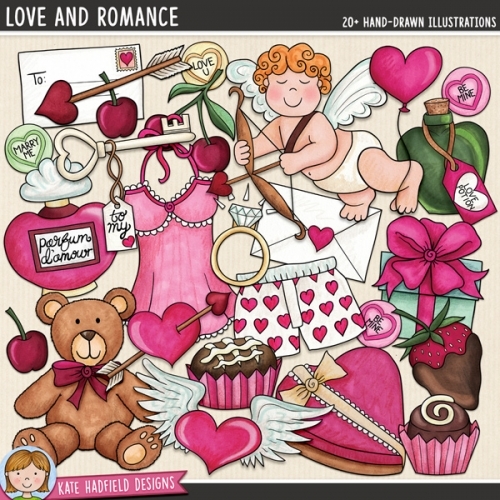 Contains the following hand drawn stamps: arrow, heart shaped balloon, boxer shorts, 3 cherries, 2 individual chocolates, chocolate box, Cupid with bow and arrow, diamond ring, 2 love letters, wrapped gift, heart with arrow, key to my heart, 3 loveheart sweets, love potion, negligee, perfume bottle, chocolate dipped strawberry, teddy bear and winged heart.